← Dances with Wolves, well actually Chillaxing with Wolves! It’s only a few days from Christmas and it is always good to be reminded of the whole point to Christmas – the birth of our Lord and Savior, Jesus Christ. 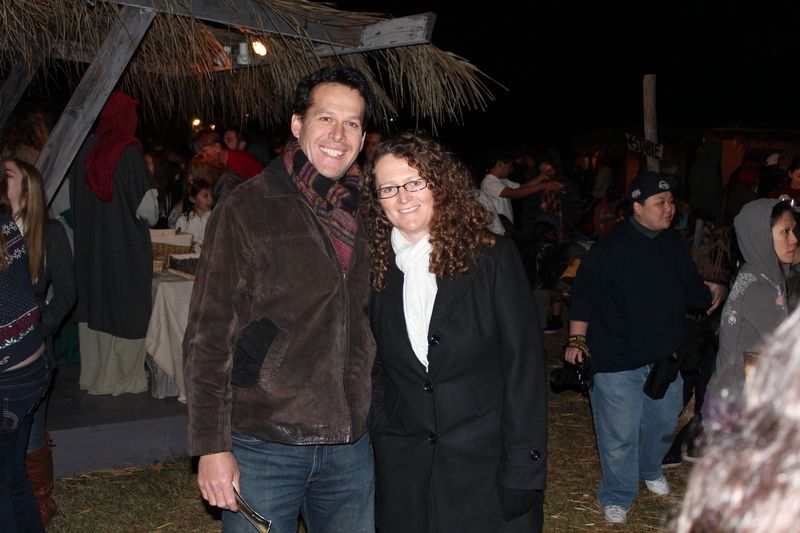 Last night, Grant and I took our families to The Church at Rocky Peak to go back over two thousand years in time by going back to Bethlehem. 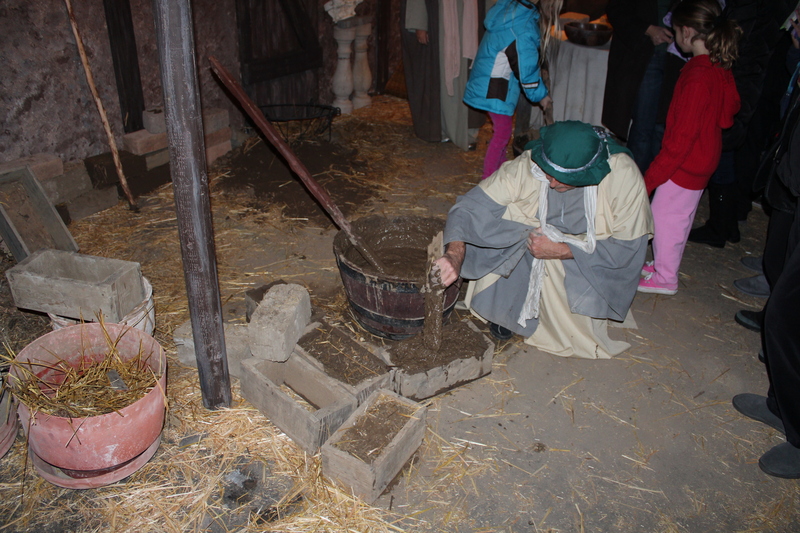 ‘Back to Bethlehem’ is a fantastic re-enactment of the town of Bethlehem the night Jesus was born. The reproduction was all done by the church and it had an incredible sense and feel of authenticity to it. Imagine strolling through Bethlehem during the time of Christ where you can watch people go about their business; bakers baking and selling bread, potters working, people weaving baskets, tax collectors collecting more money from the townsfolk and Roman soldiers patrolling the town. But it wasn’t just a show that you viewed, there was lots of interaction between the actors and the crowd. The actors spoke to you as if you were from that time. Very cool! 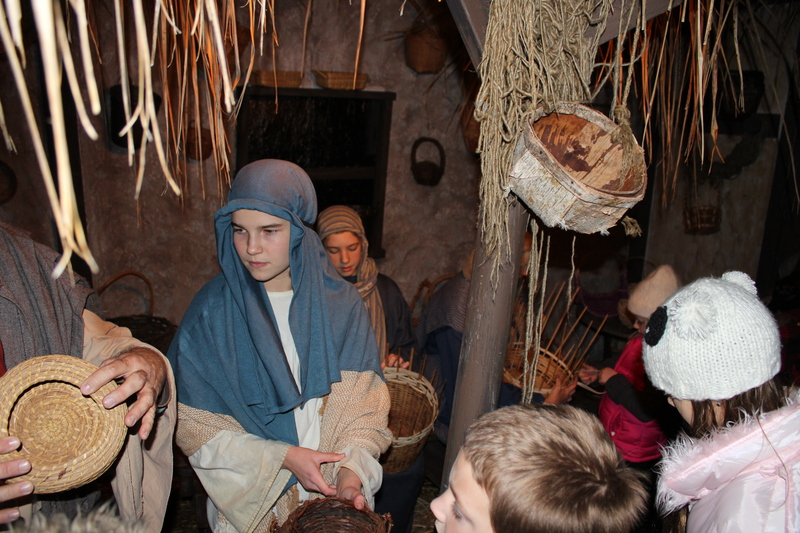 Before you entered, you were each given some ‘shekels’ with which you could buy food or hand-crafted artefacts. Using your shekels, you could purchase bread, a miniature scroll (from the scribes), spices from the spice vendor, a clay medallion from the potter, some authentic food (such as goat cheese, pomegranates and dates) or of you were really keen, a smelly fish from the fish monger. There were many things happening that mimicked life back then. Denise got accosted by a Roman soldier, Maddy was not only hassled by the tax collector to pay her taxes (which she was told would cost her one of her arms), but she also got ‘adopted’ by the sheepskin trader. Once adopted, she was sent on an errand to go and buy some goat cheese for them. Maddy earned a golden shekel by spotting a ‘scroll smuggler’ and informing one of the Roman soldiers who promptly arrested the smuggler. The inn keeper was a horrid person who kept informing people that there was no room available for the night. The kids could pet the sheep, goats, donkey and camel (where did they get that from?). Some of the really funny interactive moments was the participation in the folk dancing and the Roman soldiers recruiting people from the crowd to try out for the Roman legion. 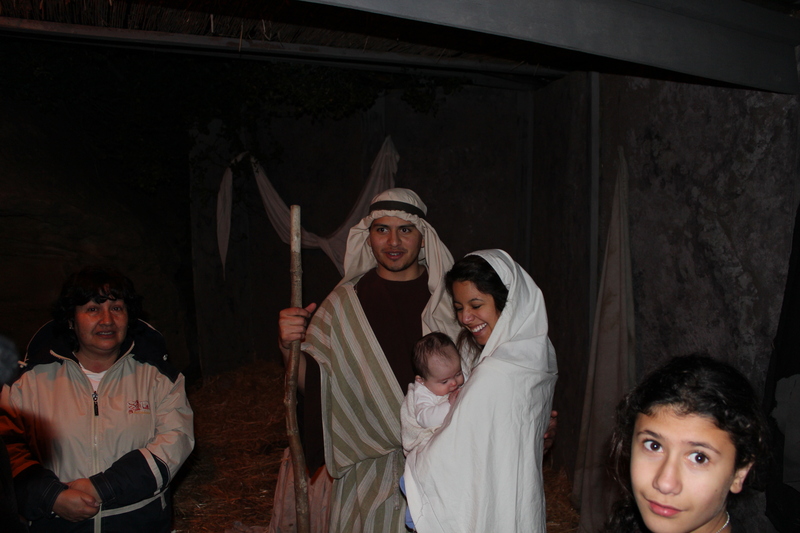 We ended the night in Bethlehem by queuing outside the stable to see Joseph, Mary and their newly born son Jesus, followed by a cup of hot chocolate (OK, so that part was not so authentic). Overall, it was a great night out which all enjoyed immensely. Wow huh. Wish we could have seen it too – but thanks for describing it to us AND for the pics (have re-told it to Donna & Sarah). 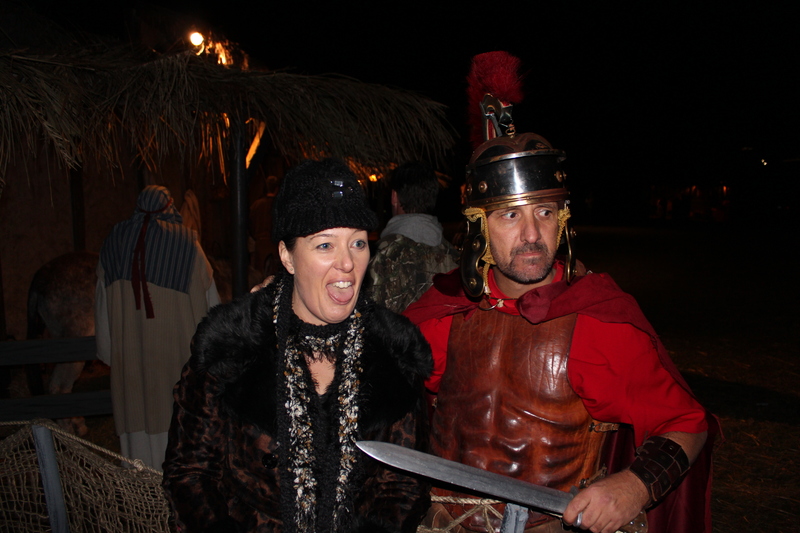 So, did the Roman soldier sort your cheeky wife out then (kidding). And yeah, where on earth did a church get a camel (or are you just kidding us now? I suppose it was just a mock up one ay!? ).